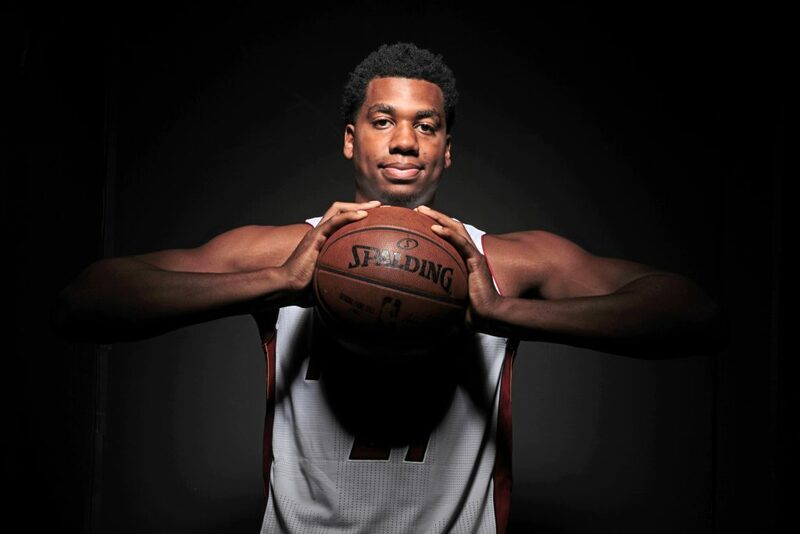 Hassan Whiteside is one of the best big men in the NBA. After the departure of Heat mainstays Chris Bosh and Dwyane Wade, the Heat team now belongs to the 27-year-old 7-footer. 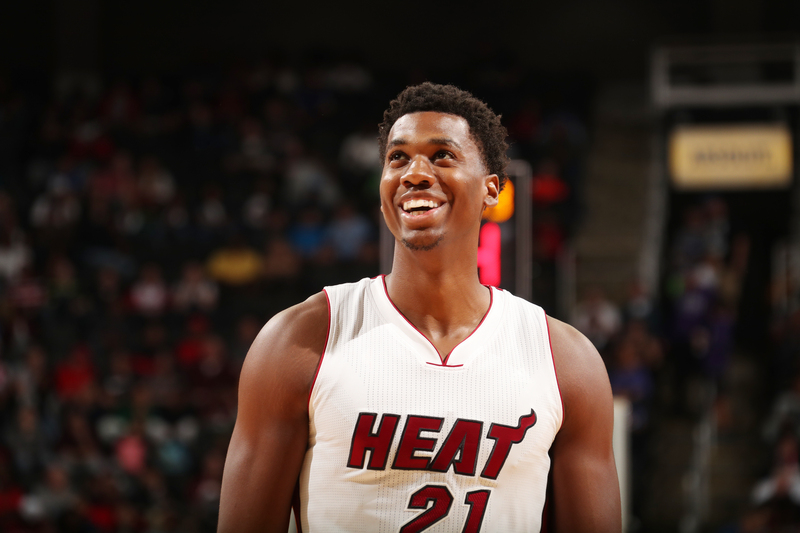 Whiteside is one of the NBA’s best shotblockers who dominates on the defensive side of the ball. After re-signing with the Heat in the offseason, he now finds himself in an unfamiliar spot—being the No. 1 guy for Miami. This isn’t the only first Whiteside might experience this season. With his continued development, he has a real shot to make his first All-Star team and become Defensive Player of the Year. He also dominates in another arena: the world of video games. Whiteside is a big Call of Duty fan. He plays for hours at a time. If you’re an online player, you might’ve played against him and not realized it. I recently sat down with Whiteside to speak about Call of Duty and the just-started NBA season. How did you get started playing Call of Duty? I got started playing at home with friends anytime I had some free time. I played until I got really good at it. I started playing with Black Ops. From then on out, I started playing a lot more. Call of Duty has so many classics within their video game franchise. Which one is your favorite? I would say Black Ops 2 is my favorite. I love the atmosphere and the intensity of that particular game. You’re a big player on the internet. When playing online, do fans realize that they’re going against Hassan Whiteside? Would you ever reveal your identity online? Sometimes, but most of the time they don’t know. Yeah, I’ve told some people that they’re playing against me when I’m trying to get a really good team. It’s a lot of people that are really good. When I’m trying to get a real good team, I’ll go on Twitter and try to find people that way. You tweeted about finding a Call of Duty super team. Did you ever get one together? Yeah, I have a couple. I haven’t been on it in a while, I have to get back at it. The NBA season is very busy for players. It’s filled with practice, games, media and other obligations, etc. How many hours of COD do you play during the season? Aww man, when we have an off day, I’ll try to play. But we don’t have too many off days, so I don’t get to play as much as I want to. This season, one person noticeably isn’t going to be around anymore. How did Dwyane Wade’s departure affect the team? We lost leadership. Anytime a leader like him leaves, he’s going to leave a big void thats needs to filled. You know, he was my guy. I liked him a lot. It’s a lot different not seeing him or having him here. This offseason, you were one of the most sought-after free agents. What did other teams pitch to you as you were going through that whole process? That they can build around me, and I can be a big focal point for the team. That’s what a lot of teams pitched to me, but you know I ended up staying in Miami. With Wade and Chris Bosh gone, do you feel any pressure being the No. 1 guy on the Heat? Nah, I really don’t feel any pressure. I’m just going to come out and try to contribute to winning, you know, and everything else will fall in place. You came a long way from your earlier stints in the D-League, China, Lebanon and the NBA. Now you are one of the best big men in the League. What are some of your goals for this upcoming season? Of course we want to win a championship and become a really good team. We have a really good core, and some good chemistry. One of my main personal goals is to become the best big man in the NBA. There are so many good big men in the NBA. How would you rank yourself against those players? I can’t give it one ranking, but I feel like I’m one of the few big men that plays both sides of the court. I bring a brand of defense to the court that very few bigs can bring. A lot of players listen to different types of music to get them hyped up and prepared for certain games. What do you listen to before a game? It all depends on how I’m going to be feeling. I’ll probably listen to my guy DJ Khaled.